Two letters on March 28 blame the EU for the UK’s impoverished areas. In answer to FH, the EU never decided “we were going to be the work slaves of their campaign”. What campaign is he/she talking about? The UK decided in the 50s we did not want to join the new Common Market, as it was then, and over the next decade noticed that living standards in the six members were growing much faster than in Britain. We then decided we would join, along with Ireland and Denmark, and in the 1975 referendum voted 60 per cent to 40 per cent to remain. One of the rules of the European Union, as it became, is to raise living standards in the poorer countries and areas of the EU. 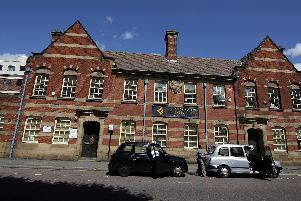 It was Tory policies of the 1980s which reduced South Yorkshire from the average GDP per head of the EU to only 75 per cent, which is why we in this area, including Terry Palmer’s Barnsley, have received billions of euros to help rebuild the local economy after the closure of pits and steelworks. In answer to Terry, we are not “ruled by non-elected Brussels foreign bureaucrats”, of whom the UK always has provided two Commissioners up to the increase of member states in 2005, when we dropped to one. They lead the Civil Service of the EU, with considerably fewer personnel than in the UK. All decisions have to be agreed by the Council of Ministers, the elected leaders of member states, and the directly elected Members of the European Parliament. When our elected representatives do their job, the UK has had a great deal of influence over EU policy, something we shall lose when or if we leave, while still needing to be closely aligned with the EU. I am very well over 40, and like younger people very much value the extra freedoms we enjoy, such as freedom to work and travel with a European Health Card and a minimum of bureaucracy, cooperation in medical and other academic research, better workers’ rights, pension rights, maternity leave, consumer protection, food safety, environmental protection, clean air and water rules, the N Ireland Peace Agreement, all enhanced by working together. Above all we have not had a major war on our continent for over 70 years, after two major, very damaging wars in four decades. Many UK citizens have moved to other EU countries to work, when UK policies have led to redundancy. Brexit has left many Brits very uncertain as to what rights they will have as non-EU citizens if their work requires them to cross borders. Once we know just what the terms of Brexit are, and we know if we shall be better or worse off, there should be a clear vote as to whether to stay or leave, both in Parliament and perhaps also a second referendum.